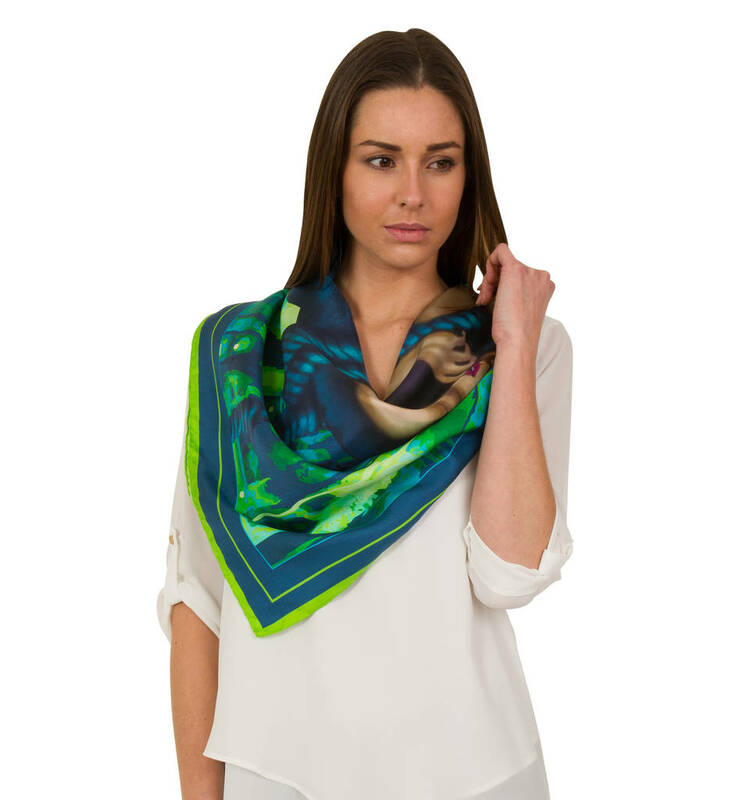 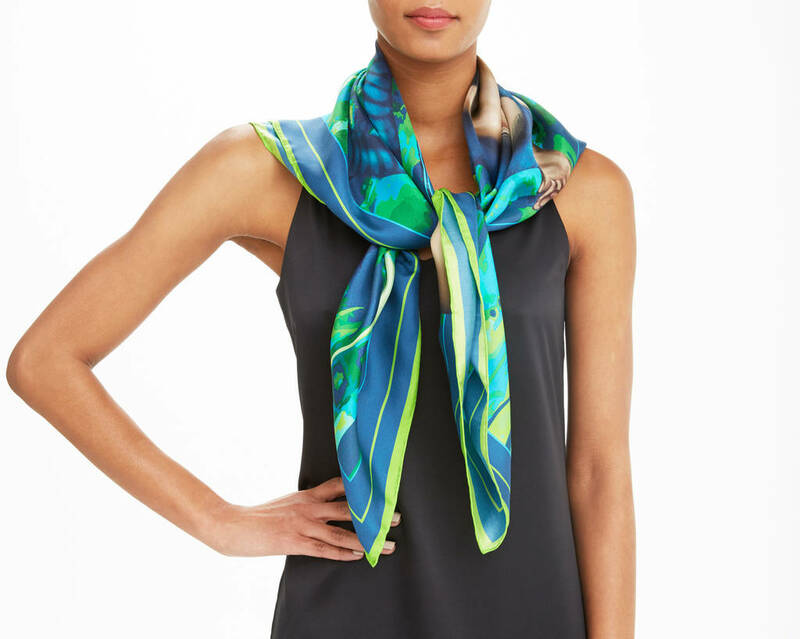 A vibrant green scarf with blue hues which displays an incredibly beautiful hand illustration of a woman. 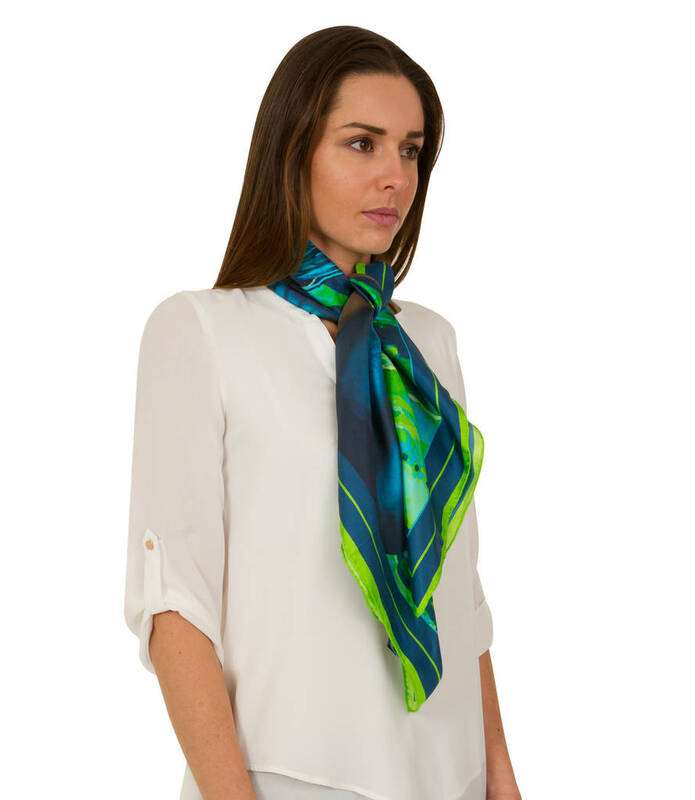 The silk scard has been hand rolled with hemmed edges and is made using a unique, digital printing technique that give the scarves their fresh originality while ensuring its quality. 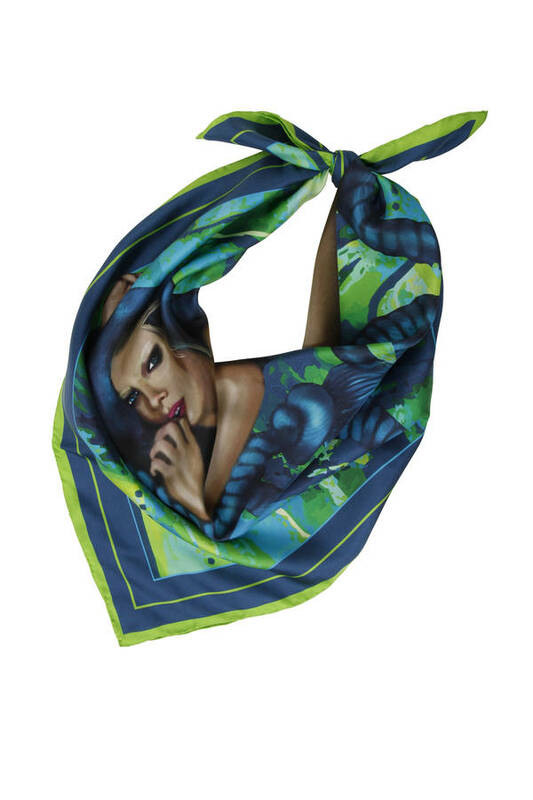 This product is dispatched to you by FABRYAN.